Financial Exploitation of the Elderly: Can You Do the Math? Is Access to Investigational Drugs a Privilege or a Right? Is Dementia a Risk Factor for Neglect? Is Genetic Testing For You? Professional Caregiver Health Declines: A Badge of Honor? The Helpful Neighbor: How Did I Get Involved? What Does Guardianship of An Elderly Parent Mean? Why is Caregiving So Exhausting Even When You Love Your Parents? Will the Elderly & Disabled Benefit or Suffer from the Recent Department of Labor Homecare Ruling? Do you have the life insurance you need for your spouse? How much does a FREE referral service really cost? Are You an Overwhelmed Caregiver? 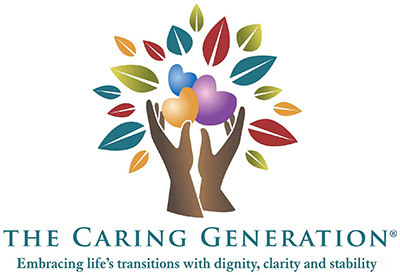 Who Is Caregiving Really About? Assisted Living Versus Nursing Homes Which Do You Need? Should AARP be involved in health insurance? Is Your Dying Loved one Starving? Do You Spend More on Healthcare for Your Pet Than for Yourself? What’s Your Caregiver Level of Pain? Difficulty Talking To Your Parents? Will Your Stubbornness Drive Friends Away? Legal Issues of Parents with Memory Loss? Not as Steady on Your Feet? Are You Becoming Like Your Parents? Is it too late to change the obesity epidemic? Sometimes caring for others is simply giving of your time. Flu shots – good for you? How important is stress reduction? When is it a good time to change your health care insurance? Frustrated enough caring for someone that you want to give up? Your parent diagnosed with dementia – what are your fears? Walking away from sick spouse an option? Is there a young person inside that older persons body? Are you a caregiver who is frustrated? When is taking sides a good idea? Making others happy – is it possible? Paying for long term care – who is responsible? What could we do without to make our lives better? Diagnosed with memory loss – now what do you think? Your children caring for you – did you teach them well? where can you find health information on the web? Should you have a guardianship for your father when your mother dies? Better to avoid talking about a cognitive impairment? Your Interest or the Best Interest of Your Parent? What Do You Know About Dying? Should a Son Provide Personal Care for His Mother? Is The Environment Killing You?